I never really cared about Easter. I'm not Christian and it's not a holiday. 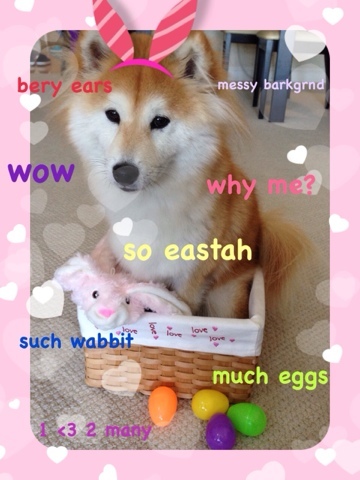 But this year was a bit special, as NW Shibas4LIfe Rescue put up a photo / video contest. I thought it was a good chance to make use of Maya's new trick, "put your toys away", which she learned at Zoom Room Belmont. I got a small bag of Easter eggs at the grocery store and dug out an old basket. 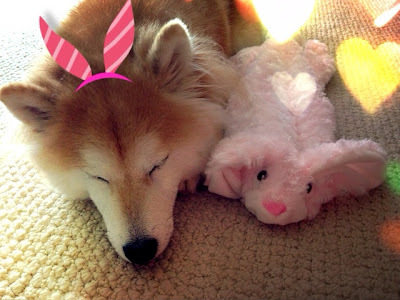 Thanks to Sakura the Diva Dog, who gave us a rabbit toy for Shibamas, our theme is now set. When we started to practice, Maya was a bit confused about what I want from her, and ended up putting her front legs inside the basket. I took the opportunity and actually made her climb in the basket herself for another photo contest! A few NG's and broken eggs later, I got the footage I wanted. Then with the help of iMovie on iPad, the video is finally ready! 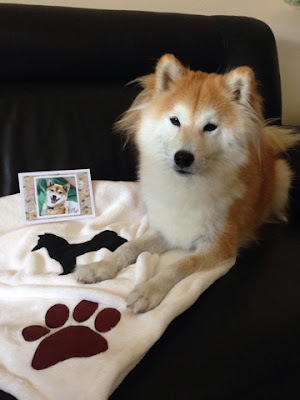 I was really honored that we were chosen as the winner for the "Eastah Egg Hunt" video contest, and thrilled that they sent us a lovely Shiba blanket as the prize. It was a fun experience making our training extra rewarding. I also got to teach myself how to use iMovie to edit videos and LINE camera to doge-fy photos. 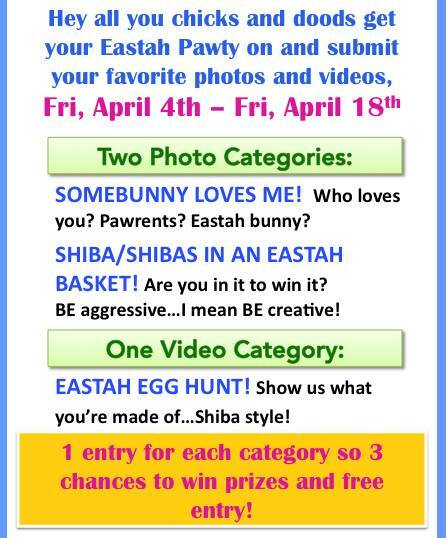 Contest and Easter aside, NV Shibas4LIfe Rescue is a wonderful rescue that provides long term care for Shibas until the end of their lives. Please help support their good cause. Every bit helps!